Edebiyat eKitaplarını mı arıyorsunuz? İhtiyaç duyduğunuz her şeyi tam burada bulacaksınız. Single mother Samaira juggles her corporate job and Aksh, her teenaged son, even as she defies society, disapproving in-laws and her own family. But when Aksh is found battered and beaten at school, she finds herself questioning her role as a mother. Faced with a conspiracy of silence from the school, she delves deeper only to discover the murky world of bullying, the secret life of teenagers and the emotional distance between parents and children. In her pursuit of truth and justice, Samaira ends up challenging the power equations of politics, wealth and influence. 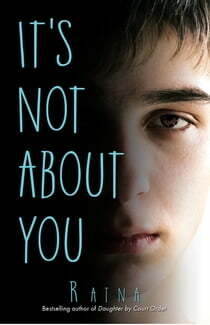 It's Not About You is an urgent, contemporary tale that celebrates the persistence of the human spirit to fight against all odds.